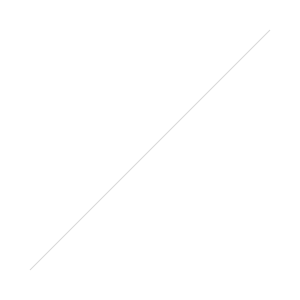 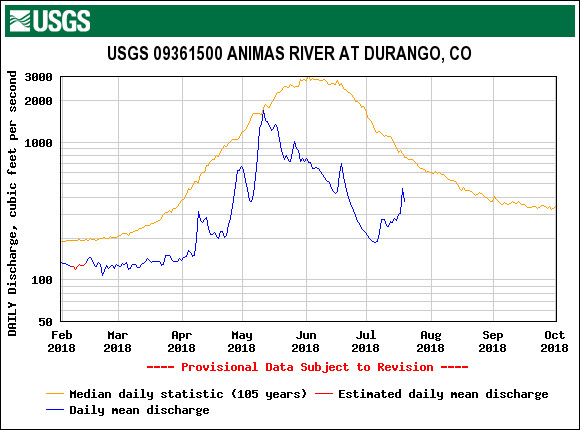 See CODOS Updates & Alerts for state-wide and general dust-related posts. 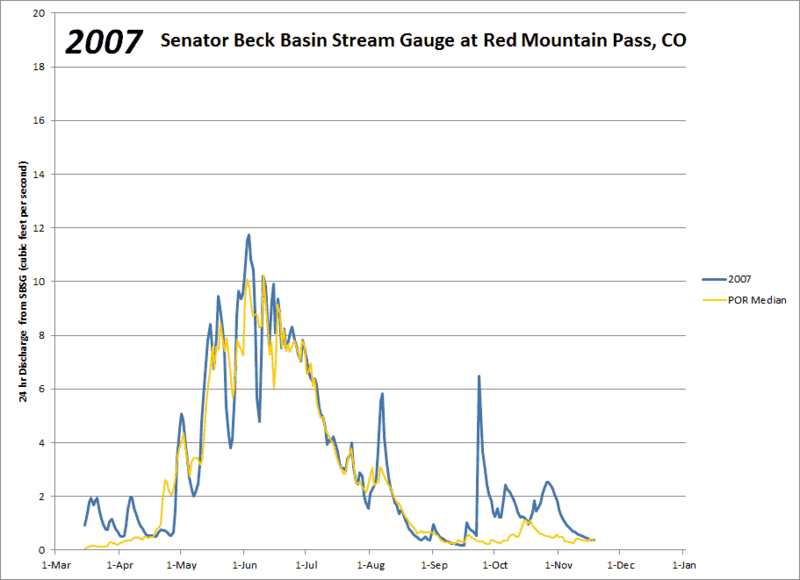 For more about Senator Beck Basin, see snowstudies.org. 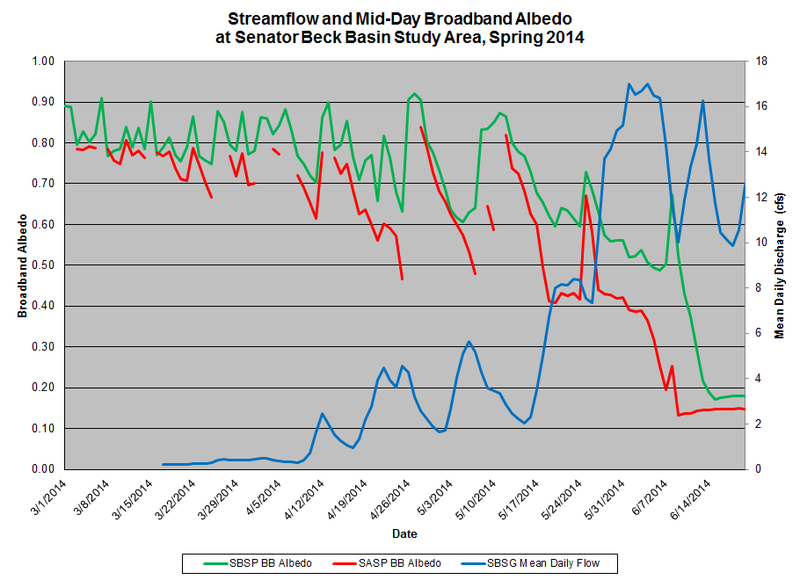 Of particular interest are Summary Graphs for SBB wind, albedo and Winter Storms for SBB storm analysis. 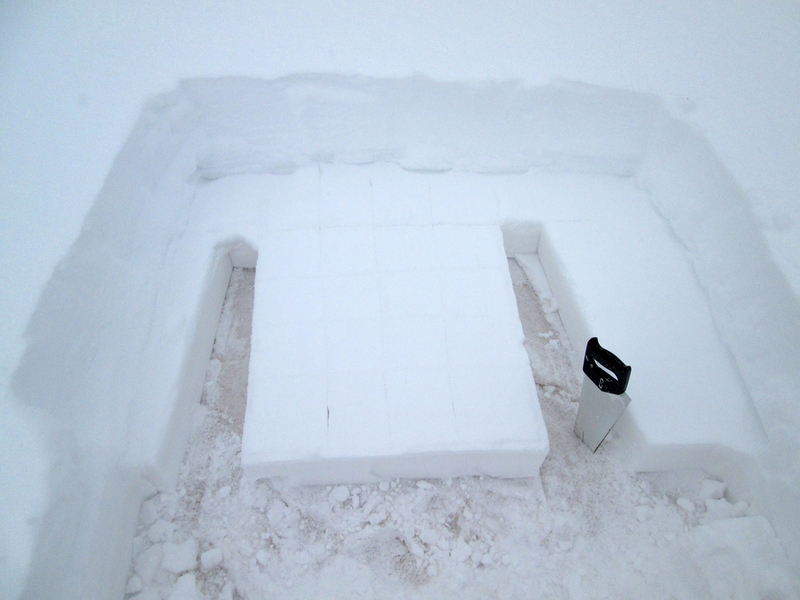 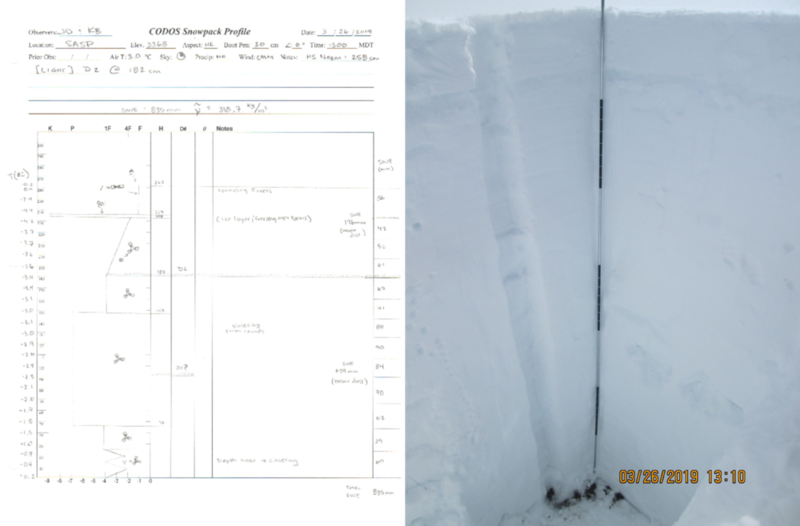 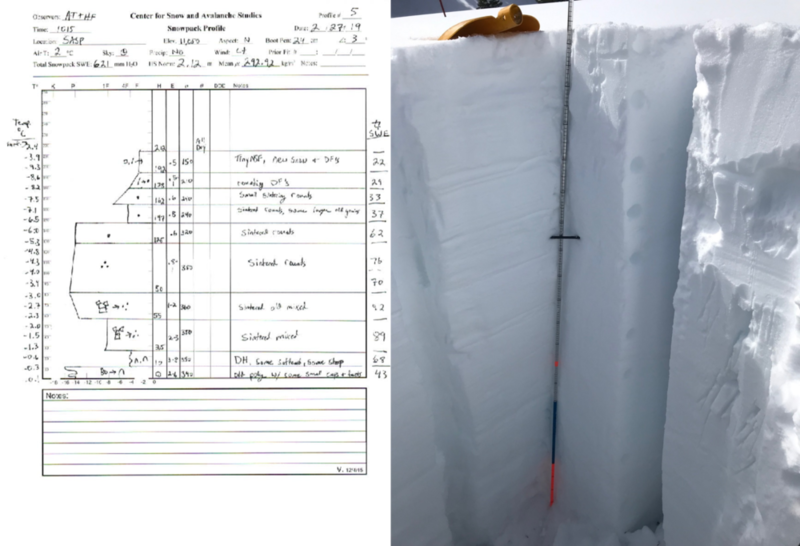 Adding column F to column C and dividing by column D, to account for extra snow deposited after peak SWE. 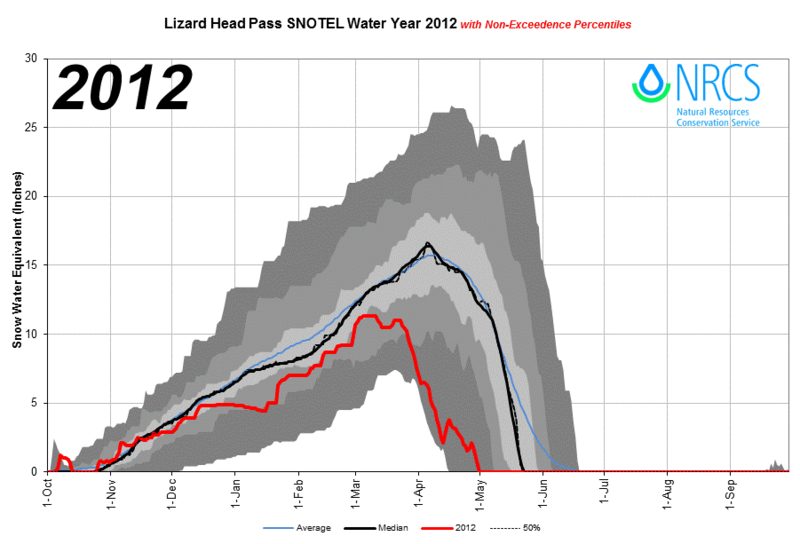 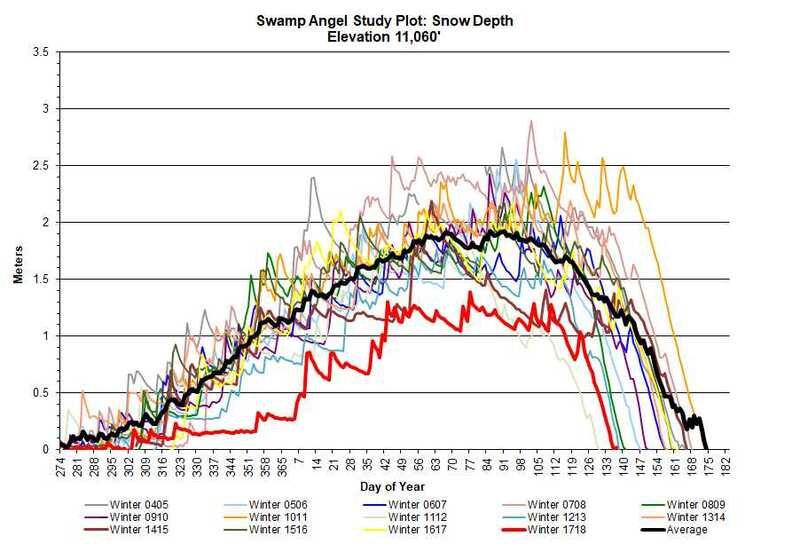 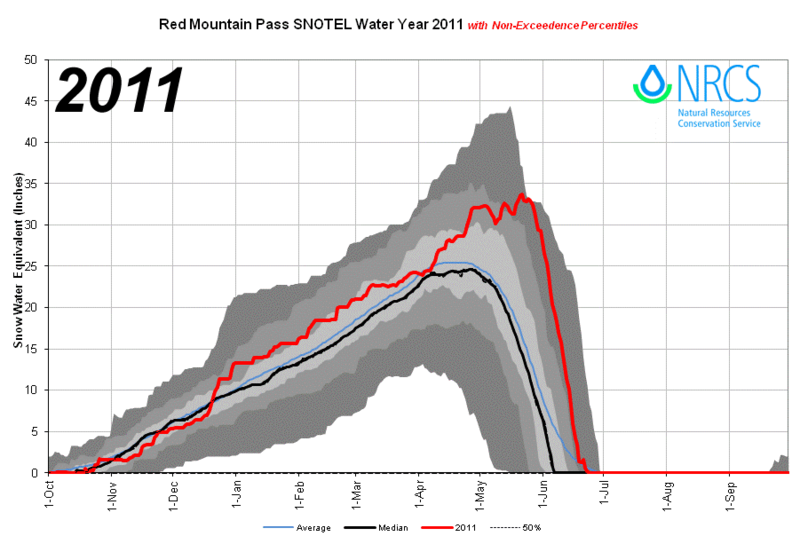 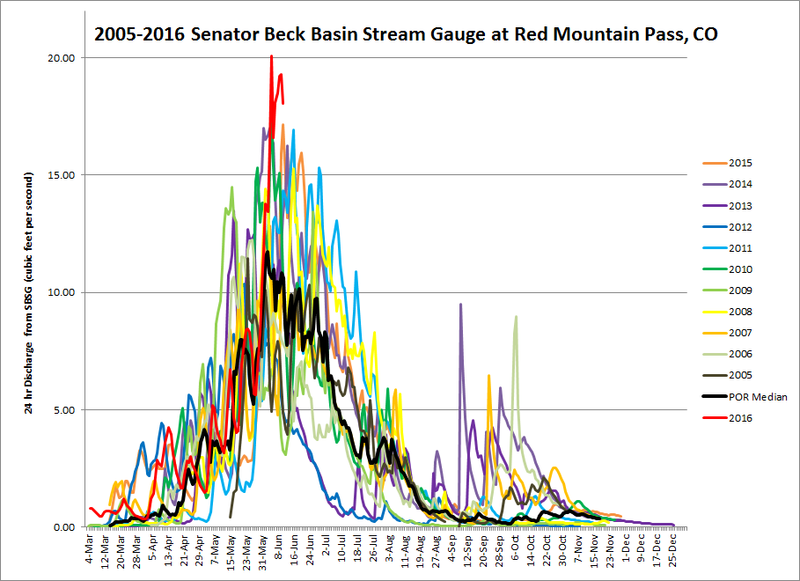 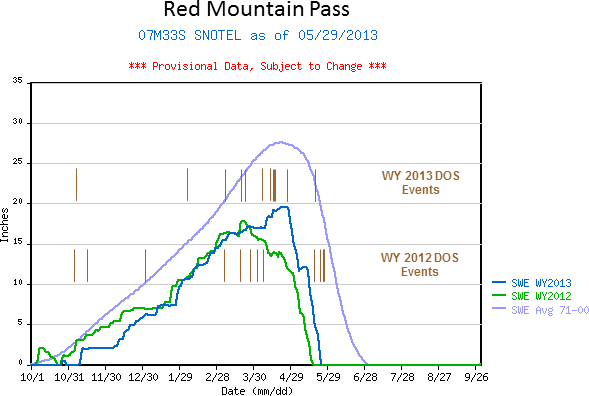 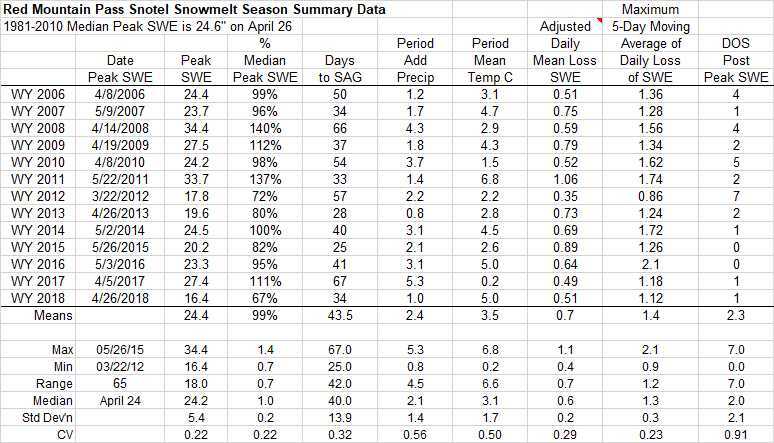 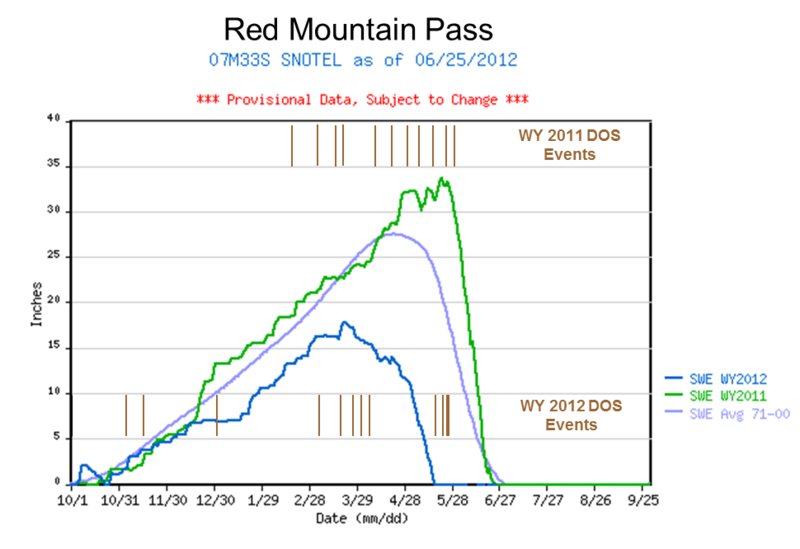 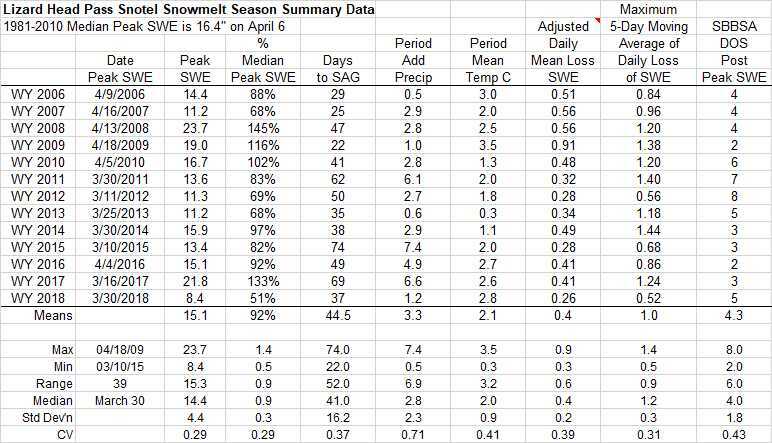 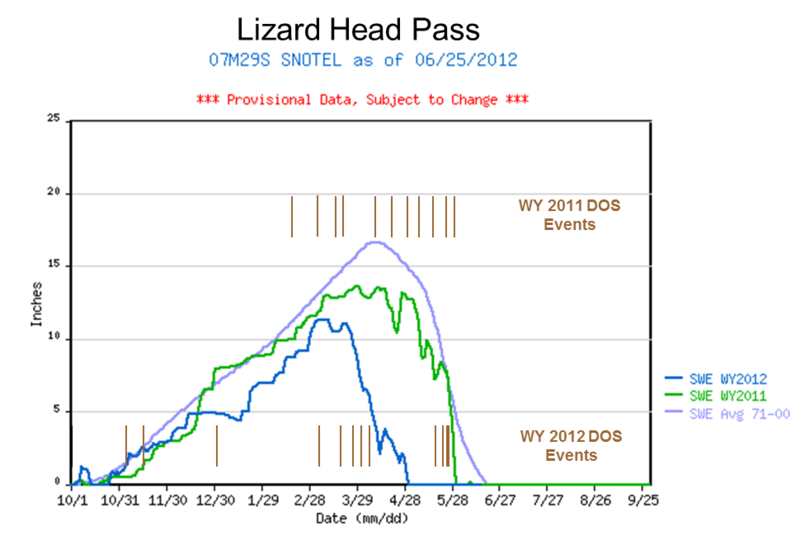 Analyses of Red Mountain Pass and Lizard Head Pass Snotel data for Water Years 2006-2017 snowmelt seasons showing date and quantity of peak SWE, days from peak SWE to “snow all gone” (SAG), total additional precipitation after the date of peak SWE, an “adjusted” mean daily rate of snowmelt adding the additional precipitation to the peak SWE total, the maximum five-day moving average of daily melt, and the mean air temperature over the entire snowmelt period, from peak SWE to SAG. POR refers to each snotel's entire period of record. 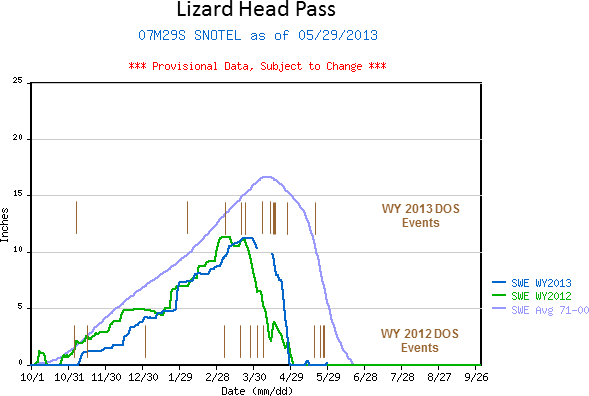 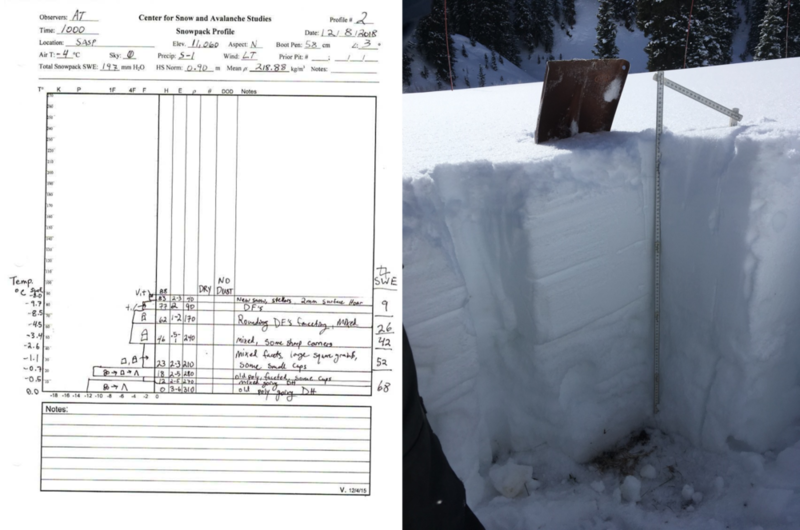 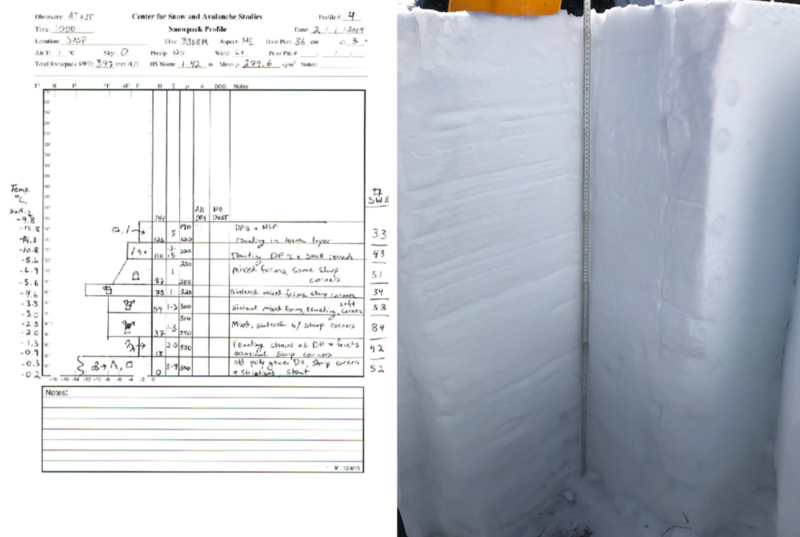 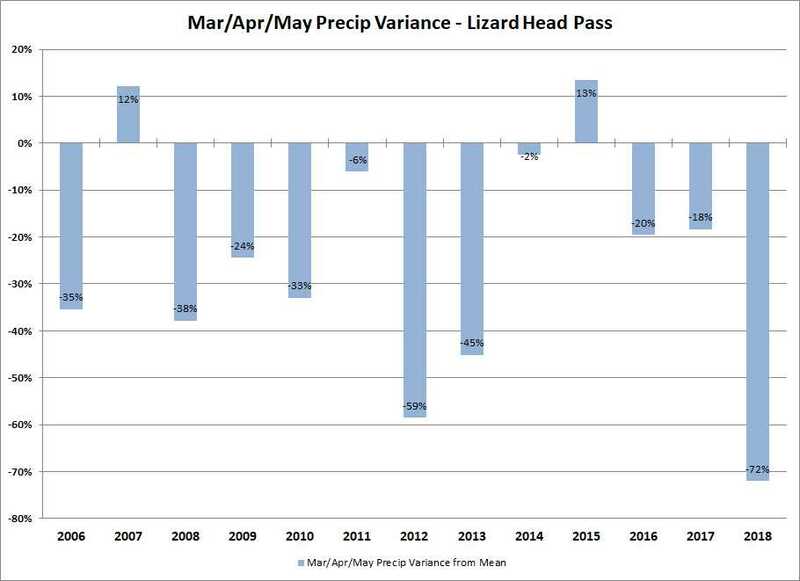 Our Snowmelt Excel Workbooks for Red Mountain Pass and Lizard Head Pass snotels contain spreadsheets for each year, including a summary aggregating all years. 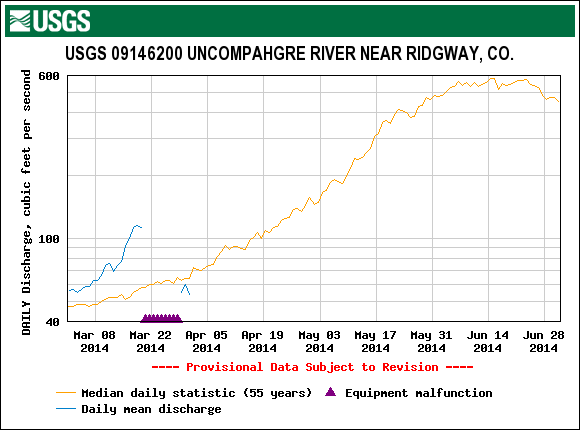 See our Snotel Dataset page for downloadable Excel files for each CODOS site, and an "All CODOS Sites Aggregated" Excel workbook containing spreadsheets for Water Years 2006-2017 and a summary of all years combined. 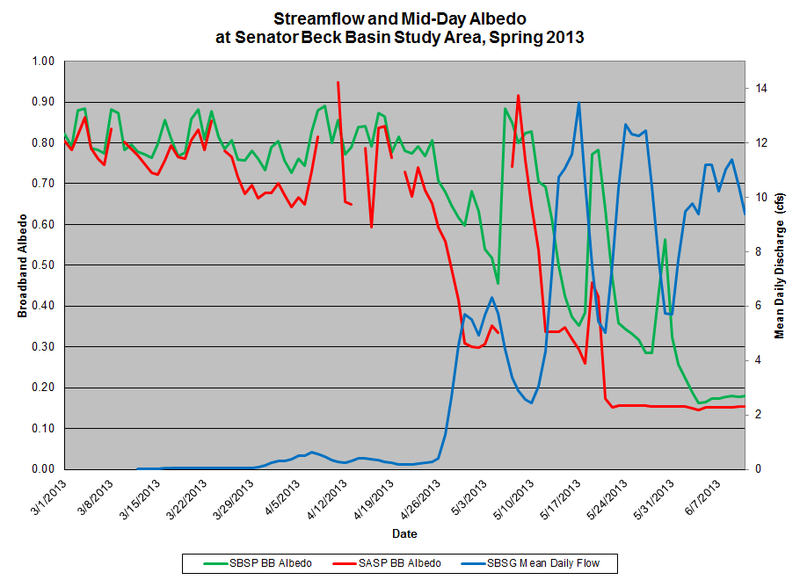 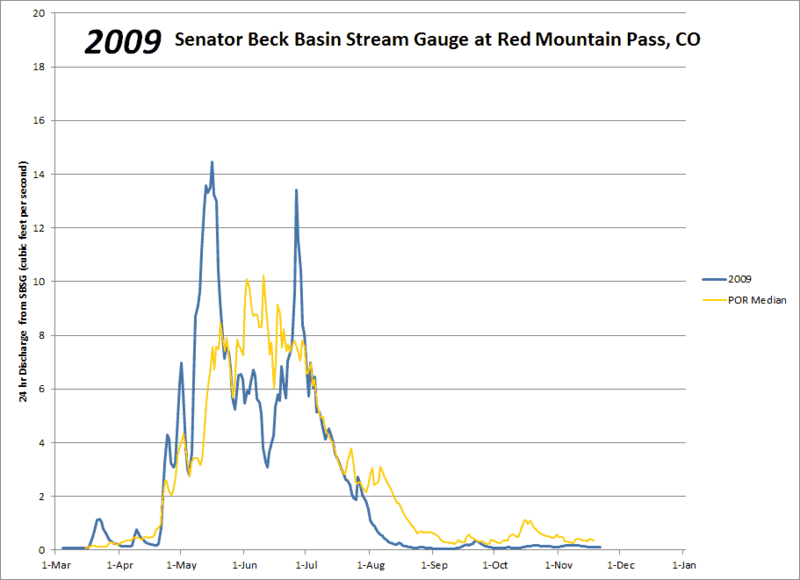 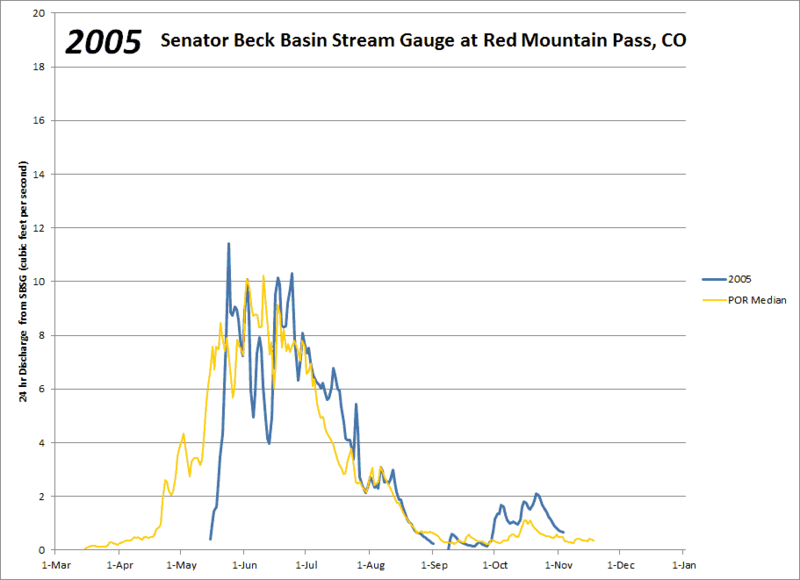 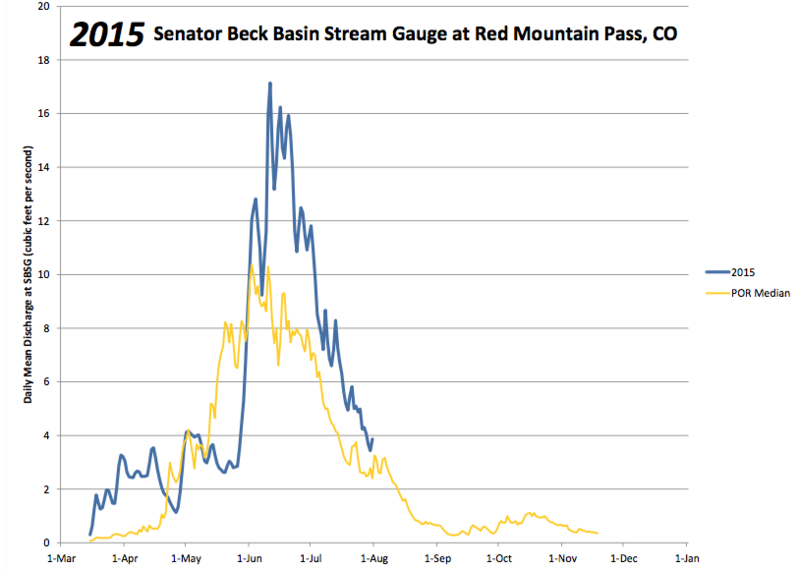 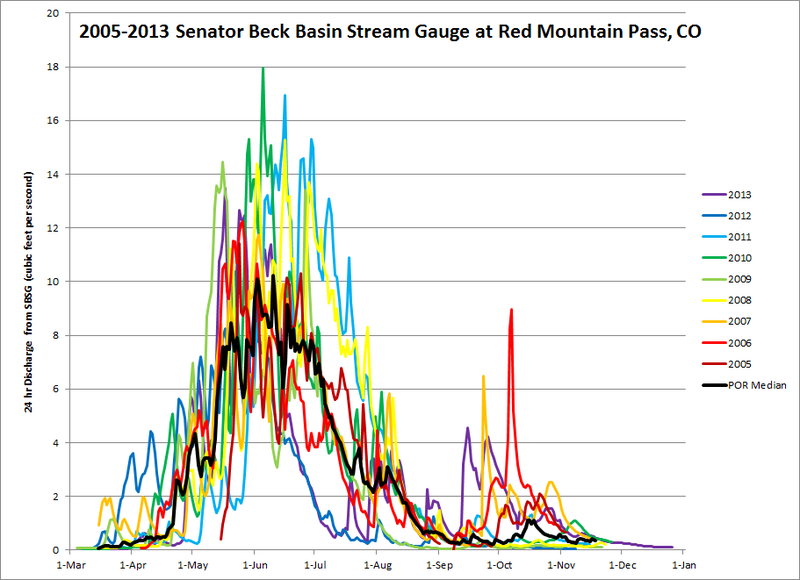 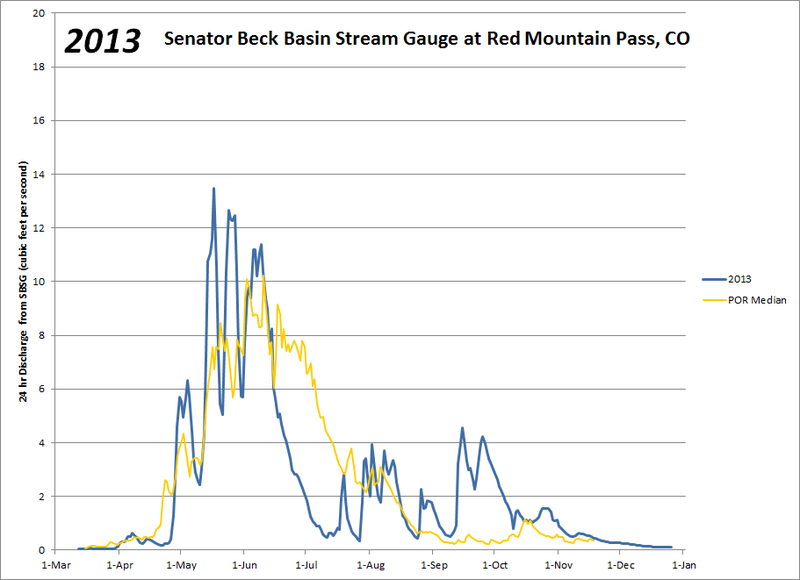 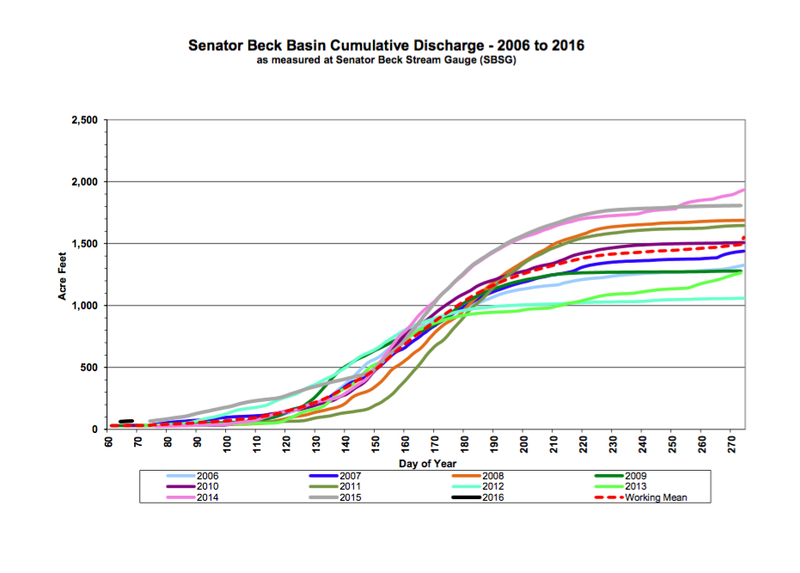 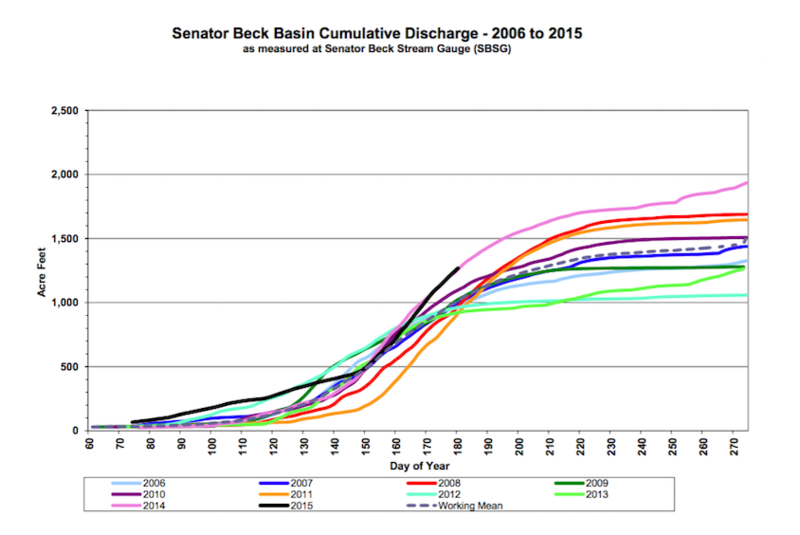 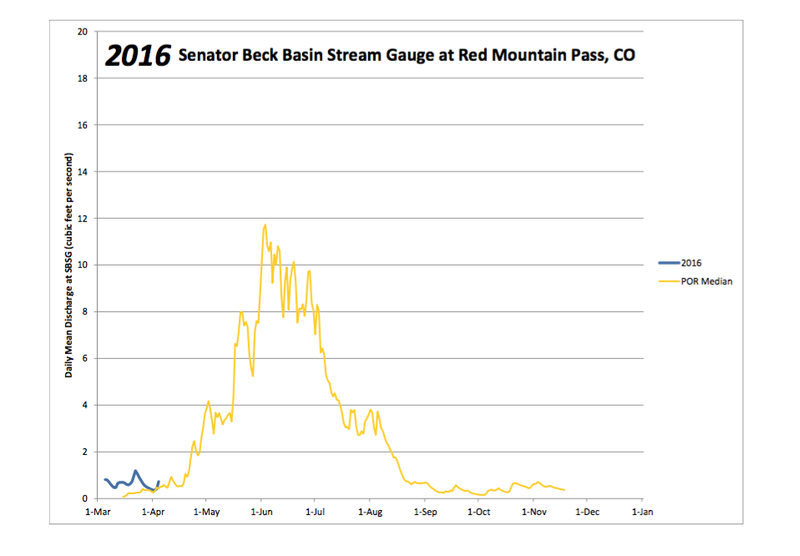 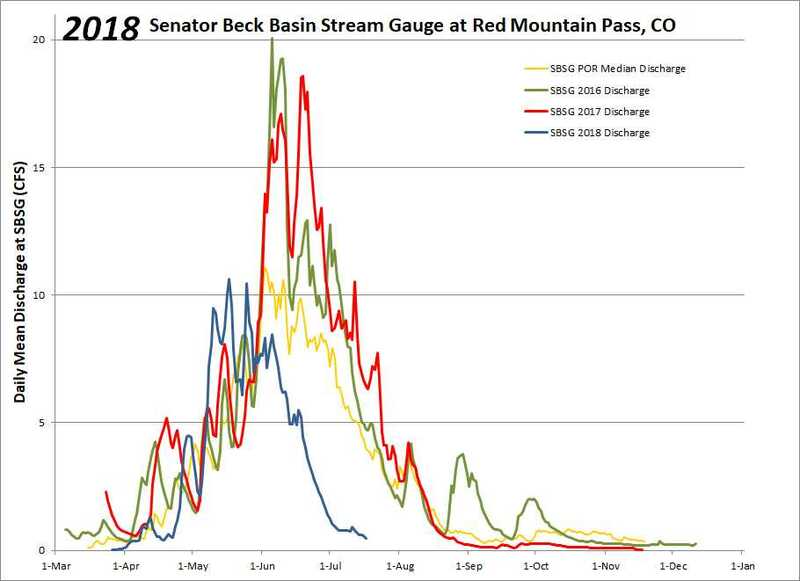 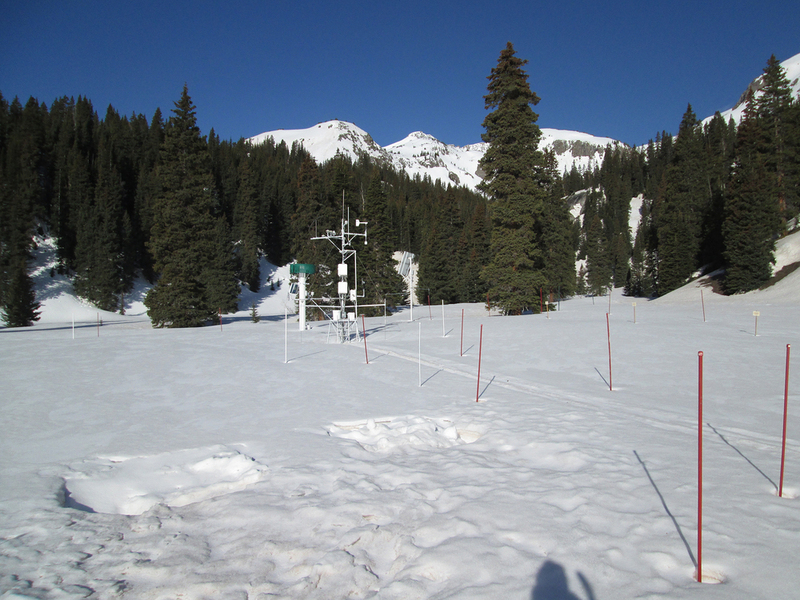 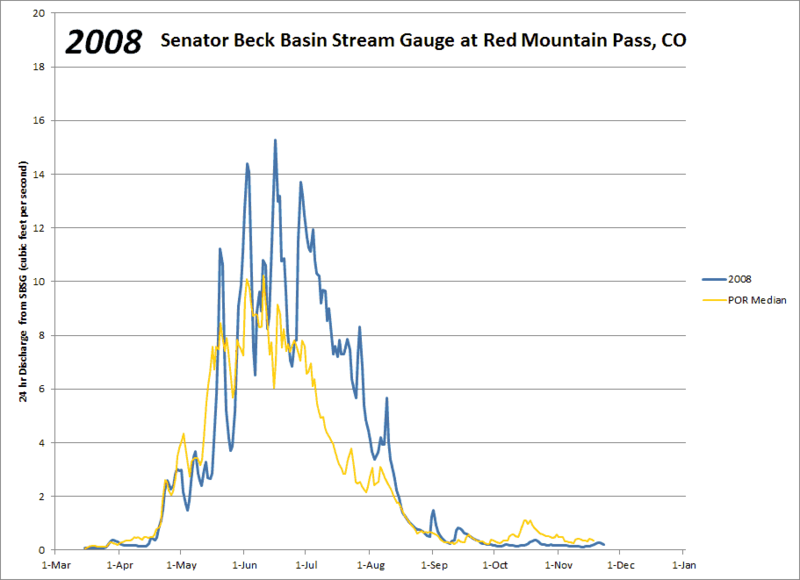 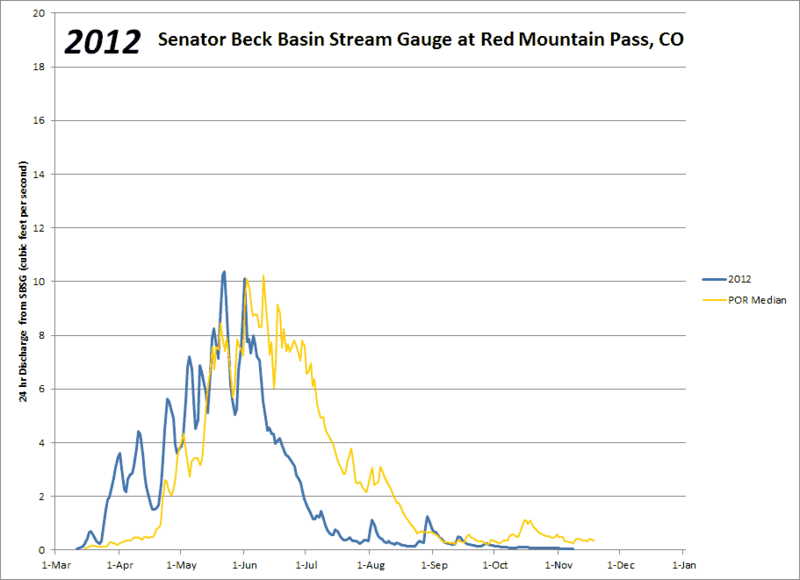 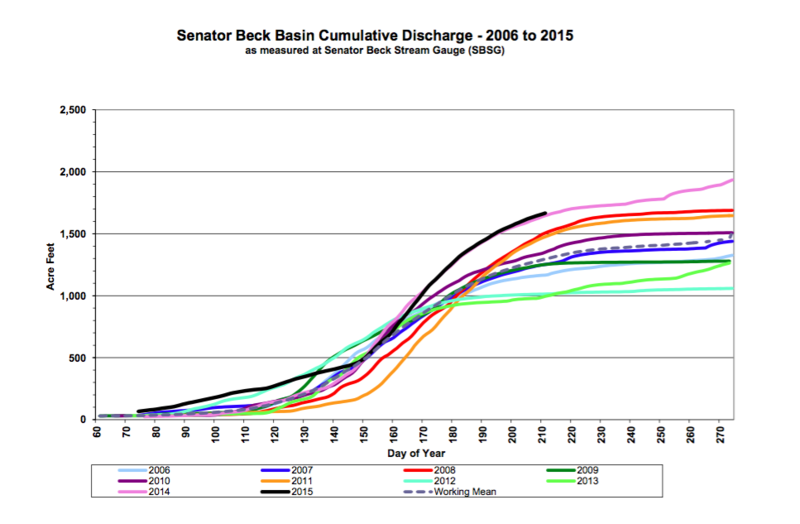 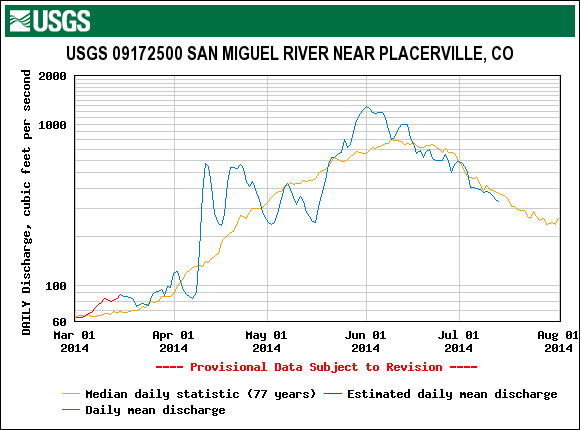 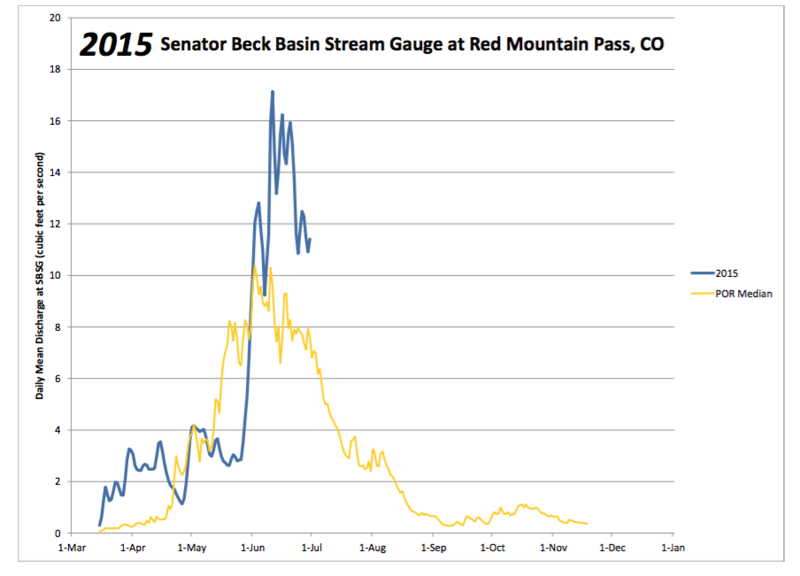 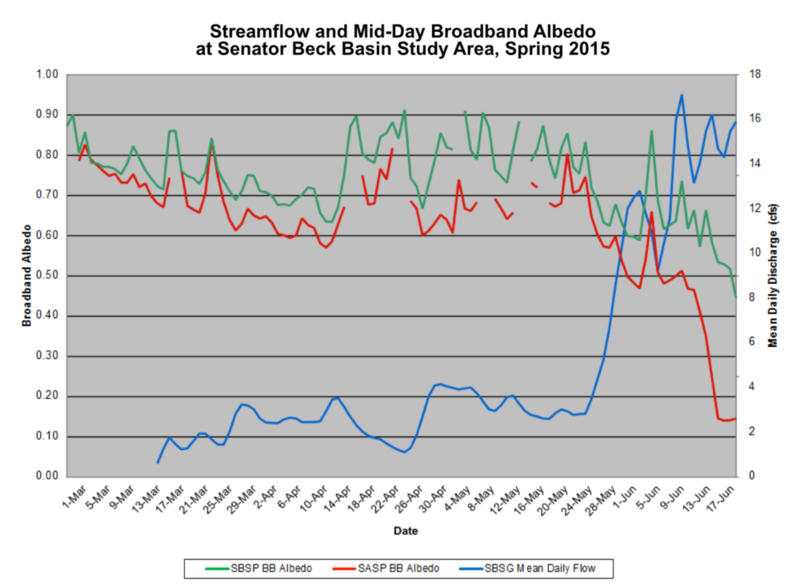 Above: Spring snowpack albedo at the Senator Beck Study Area plotted over Senator Beck Basin snowmelt discharge.